Beautifully arranged baskets are popular gifts for tea drinkers. They make a lovely impression on both experienced tea connoisseurs, as well as friends and loved ones who are relatively new to the joy of drinking tea. Following are tea gift baskets in a variety of price ranges. Click on the images below to shop for tea baskets. Many retailers enable you to customize what is included for your recipient and request specific products for your gift basket. These gift items can be individually gift wrapped and placed in the basket to your specifications. For special occasions such as showers, weddings, and anniversaries, you may want to consider some beautiful China ware, unique teapots and kettles or Yixing teapots, which have the unique ability to absorb the tea flavor with continued usage. The fired clay contains tiny air pockets that provide insulation for enhanced taste and aroma of fine teas. You may also want to consider giving a traditional Japanese tea ceremony gift set. 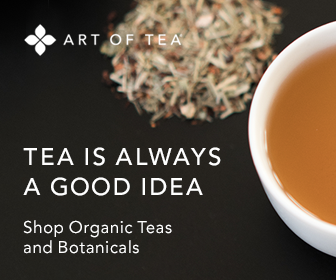 Enjoy the experience of buying something special for tea lovers. Your selection will be appreciated and treasured for years to come. And while you are shipping, you may even find something tea-related for yourself.